(Nanowerk News) Phenom-World BV announces the launch of a new collection of sample holders and inserts for the Phenom™ desktop scanning electron microscope (SEM). 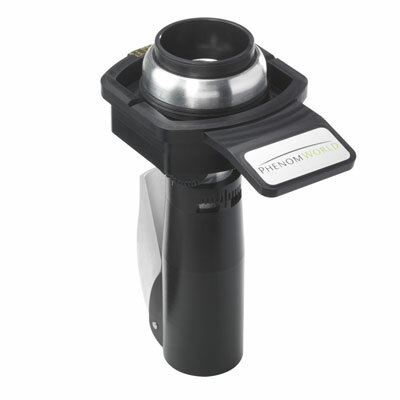 The new holders increase the range of possible samples while maintaining the Phenom’s market-leading time to image. Quick and easy sample loading ensures faster time to data. Phenom-World BV is a subsidiary of the NTS Group (system supplier to high-tech industries), Sioux (a supplier of trend-setting services and products for embedded systems, medical systems and remote solutions), and FEI (the premier provider of electron and ion-beam microscopes). Phenom-World produces, services and develops electron beam-based analytical products. Located in high-tech region of Eindhoven in the Netherlands, Phenom-World is well positioned to press ahead with product innovations. With sales representatives in more than 30 countries around the world, Phenom-World has a strong global presence to address the desktop scanning electron microscopy market.